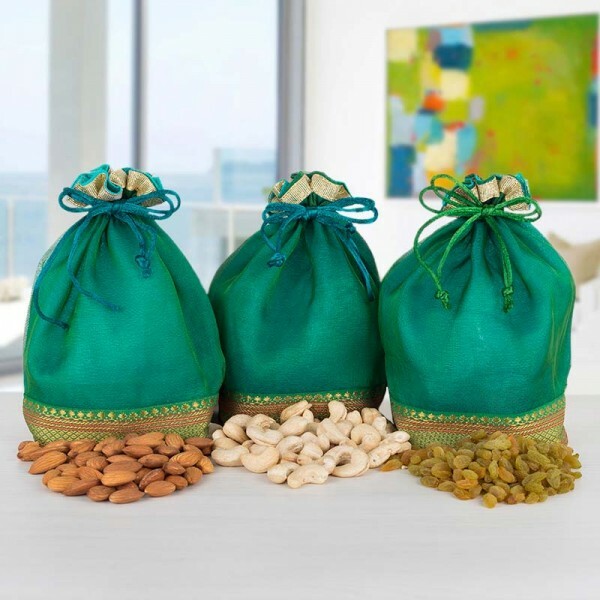 Gifting Dry Fruits is always a great idea. They do not perish easily and are full of various health benefits. These three Green Potlis are full of these lovely gifts. They have 100 gms each of Almonds, Cashews and Raisins. Send across these caring potlis to the loved ones now.